Following the ancient via Tiburtina for 30 kms east of Rome, this tour allows you to visit and compare two very splendid villas from two different ages. The villa Adriana dating back to Roman Times and the Villa D’Este from the Renaissance period. At the foot of the Tiburtini hills, source of the springs that supply the spa town of Bagni di Tivoli and which are dominated by vast quarries of travertine marble, you will stop first to visit the ruins of Villa Adriana which can only hint at the grandeur and beauty of this Villa built by Emperor Hadrian to remind him of the monuments and sites he had admired during his travels in the East. 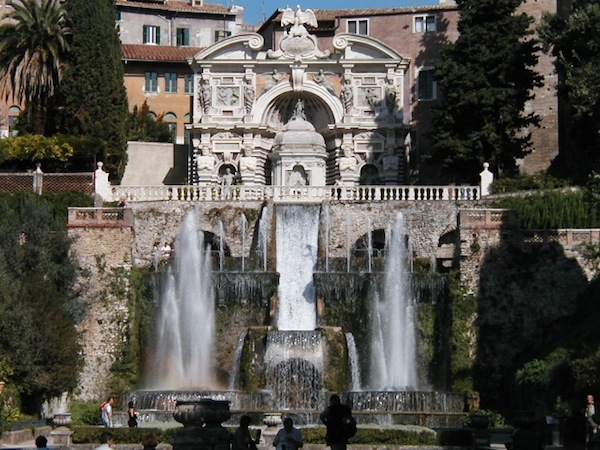 We then continue to the Villa D’Este, one of the most beautiful residences of the Renaissance. The Villa’s countless fountains, set in the heart of magnificent Italian style gardens, create a delightfully graceful symphony of carved stone, shade, sunlight and water. Length of the tour 4 hours. From Nov 1st to Mar 31st - Tue., Thur., Sat. and Sun. except Dec. 25th and Jan. 1st - Mornings.